Deep in the green hills of Dorset lies a hidden place of secrets, passion and fatal conflict. Sylvie is dying. A victim of crippling allergies, poisoned by the pollution and chemicals of modern life, Sylvie is trapped in a hospital bed while her mother and doctors watch her life slipping away. But one of them offers her a chance. There’s an alternative community – Stonewylde – hidden away behind high boundary walls in a corner of Dorset. If their leader, the charismatic Magus, would let Sylvie visit then perhaps the clean air and green lifestyle may restore her vitality. Or at least give her some measure of peace before she dies. It’s a chance, and when Sylvie and her mother take it, they find themselves in a haven of tranquillity and beauty. But it’s not all idyllic. The Magus sends a moody, secretive Village boy to work in their garden as a punishment. He warns them to stay away from him – he’s rebellious and in deep trouble. But Sylvie is curious about Yul and, as their forbidden friendship grows, she sees that all is not quite as it seems at Stonewylde. Why was she told to keep away from Yul – and why are she and her mother so drawn to the Magus? Is the crone on the hill really a powerful wise-woman, or just a crazed old hag bent on destroying the peace with her wild prophecies? And what exactly is the magical secret at the heart of this seemingly perfect community? 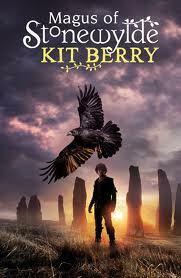 Categories: Dorset, England, Fantasy, Paranormal | Tags: Kit Berry | Permalink.